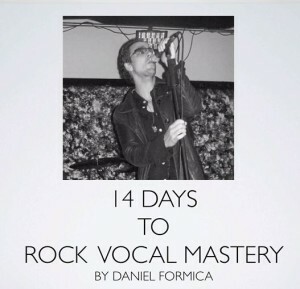 Watch Daniel teach a 90 min masterclass on rock vocals. Learn how to master the extreme vocal sounds of Chris Cornell, David Coverdale, Brian Johnson, etc. Daniel Formica takes you through a personal lesson on how to discover and sing with distortion, rasp, grit, growl and other extreme vocal configurations. Watch Video! Note: This lecture is dedicated to “extreme” vocal sounds. This is not a basic vocal lesson.